“Framing” is a term used by psychologists and linguists to denote the way we see and understand and talk about things. We don't just encounter pure unmediated sensory information, we see the world according to the conceptual structures and processes we bring to it. To truly see something we have to categorize it; we have to see a tree as a tree—according to our knowledge and experience of trees. This applies not just to simple sense-percepts but to entities, situations and events at all scales. Things, situations and events can be as simple as a tree, an orchard and planting a tree, or as abstract and complex as “Canada”, “21st century Canada” and “the history of Canadian society.” All forms of perception, thought and action are mediated by conceptual frames—screens or filters or lenses that put the objective world in a certain light. 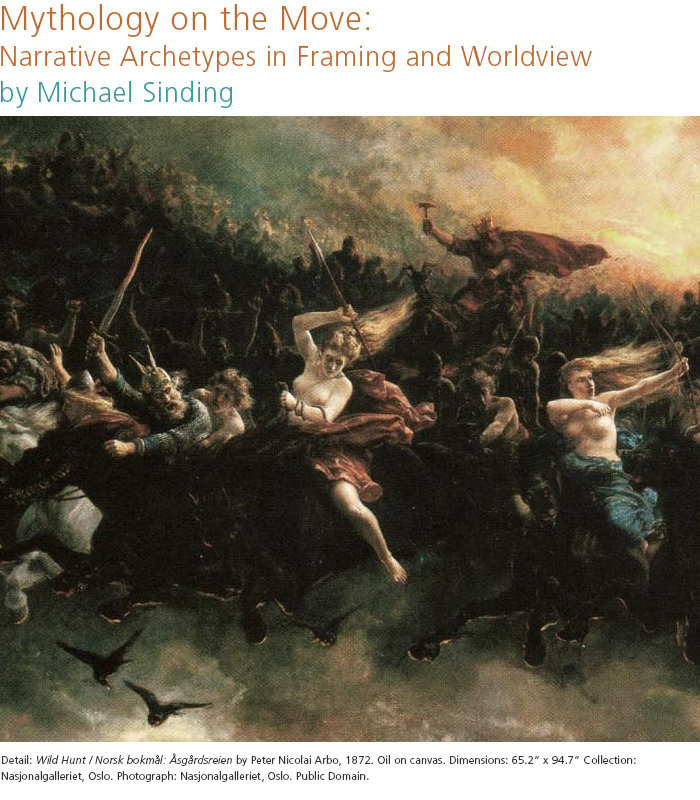 The more complex and theoretical the entity or situation is, the more the framing of it counts as “definition” or “interpretation” (rather than “perception”); a result of multiple and/or alternative ways of framing. Thus framing contests arise. Note that frames are not just distorting lenses; without frames we could not see the world at all. As George Lakoff says, “Framing is normal. Every sentence we say is framed in some way” (Don't 100). However the choice of frames will highlight certain aspects of situation, and hide others. Frames have a logic, and we reason and argue according to them.